The final IC Title Match for this month of choices comes from a special contest that took place on Monday Night RAW in Novemeber 2006. A rare ladder match for the IC Title took place on the show between two fierce competitors. Let's take a look at Jeff Hardy vs Johnny Nitro. Jeff Hardy made his triumphant return to WWE after Summerslam. He had his sights set on the IC title, which Nitro had been holding for a while. After a series of matches, Jeff finally wrestled the title away from Nitro. Nitro would not take that lying down so he brought in a ladder to punish Jeff Hardy. 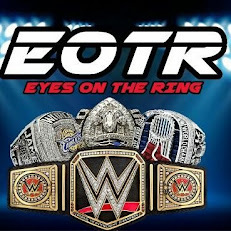 The next week, the match was made for RAW. Jeff and Nitro started off with traditional wrestling but we knew it would get more physical. Both men would go back and forth until Nitro would take control early on but the resilience of Jeff Hardy shone bright and came storming back. After a few spots that only Jeff Hardy could attempt, the match picked up steam. Nitro would then show he was no slouch and could match Hardy spot for spot. In the end, Hardy traps Nitro under the ladder and Jeff climbs and retrieves the title. 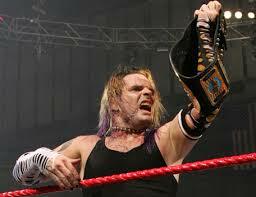 -With both men at the top of the ladder, Johnny Nitro dropkicks Jeff Hardy and both men fall. This was an astounding match. 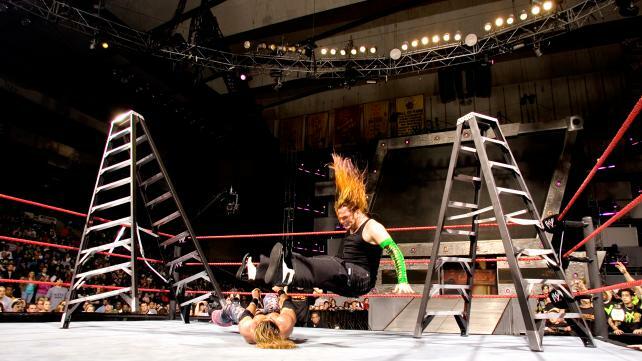 For Nitro’s first time in a Ladder Match, he surely made the most of the moment. We all know Jeff Hardy will bring it in a Ladder Match, as he’s the best Ladder match performer in wrestling history but you have to applaud Nitro’s performance. These two had excellent chemistry and this match showed that 100%. The crowd being heavily invested made this better as well.